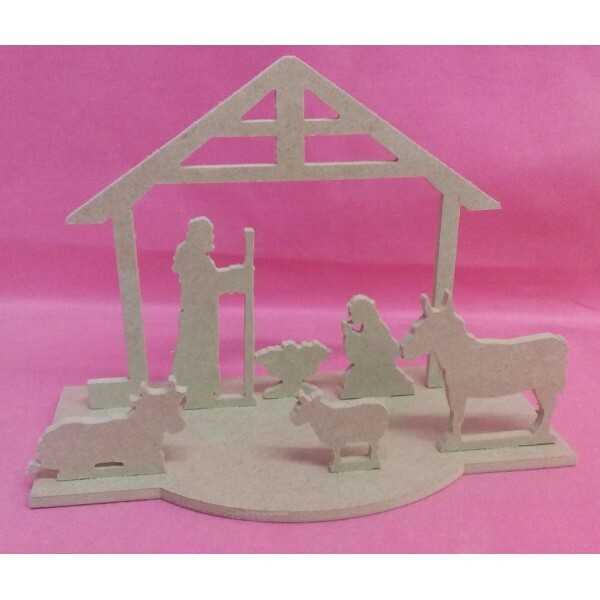 4mm Thick MDF Nativity set comes 8 parts all slt to gether just add glue. 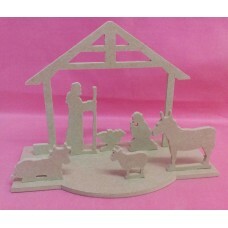 The base is 180mm long by 100mm wide at the widest point . The other items start at 50mm in size.